Happy Earth Day 4.54 Billion Years Later! This April, join GPOD in celebrating Earth Day! On April 22nd over 1 billion people will be celebrating the Earth! It’s no secret our planet has been damaged by pollution and other toxic waste, but imagine what could be done when people all over the world come together to help. This year, the Earth Day Network (EDN) proclaimed the theme for Earth Day would be “The Face of Climate Change.” Many people believe climate change is a remote problem, but people, animals and environments around the world are already being affected. So what can you do to help? Well, first the EDN will collect and display pictures and videos of people, animals and places that have been directly influenced by climate change. Go to http://www.earthday.org/2013/ to share your story and post your pictures. So, what if you don’t have a picture or story? Well join one of the millions of events around the world that will take place on April 22nd that will help heal the earth. Now, what is GPOD doing for the earth? For starters, we recycle 80% of all the waste we collect, all year ‘round! Not only do we recycle but we upcycle as well! 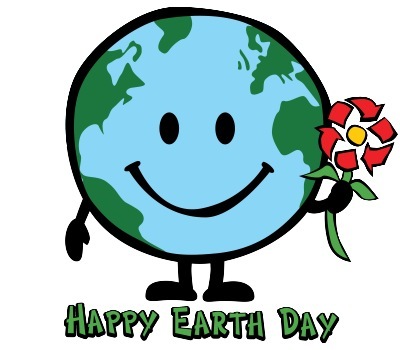 Research what your local community is doing to celebrate Earth Day and join the fun!